chapter of Jewish history in America. Sholom Aleichem (Hebrew greeting meaning "Peace be unto you!") was born near Pereyaslav, Ukraine, and settled in the United States two years before his death. The most popular and beloved of all Yiddish writers, he wrote with humor and tenderness about the Yiddish-speaking Jews of Eastern Europe and won the title "the Jewish Mark Twain". One of his creations, Tevye the Dairyman, has become world famous, thanks to the highly successful Broadway musical Fiddler on the Roof, which is based on Sholom Aleichem's Tevye stories. 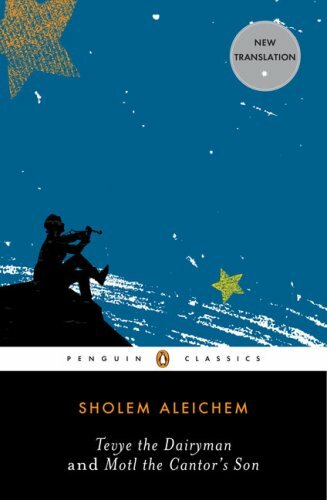 Although he also wrote plays and novels, it is for his short stories and his humorous monologues that Sholom Aleichem is best remembered.